Dr. Peng is proud to be your premiere dental office to offer the amazing Fastbraces® Technology. Discover how Dr. Peng and Fastbraces® can team up to help you truly LOVE your smile, maybe for the first time ever! The first step to a great smile is to meet one-on-one with Dr. Peng to determine if you are a candidate for the Fastbraces® system. Dr. Peng then does a comprehensive exam of your mouth and smile. Next, impressions and x-rays are taken to help Dr. Peng create a customized treatment plan designed specifically for your smile. … Then We Can Help! 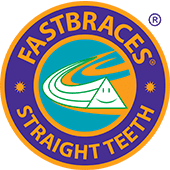 Dr. Peng is proud to be your Premier Dental Office that now offers the amazing Fastbraces® Technology!